As part of a larger project I have been working on a signal generator. 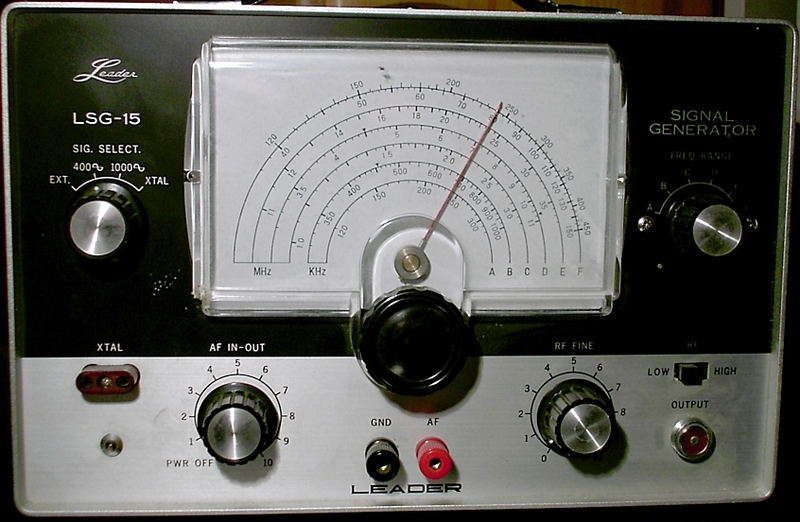 A signal generator is a device (in this case an F# program) that is often used to generate waves at a particular frequency that can be interpreted as sound (by applying to a speaker as a voltage). For my project I want to generate pitches and then convert the signal to PCM audio data, wrapped in the windows WAVE file format. PCM format means that the signal is represented as a series of positive or negative values within a certain range. The number of samples per second is called the sample rate (44,100 for CD audio). The range of the values is governed by the bit depth, again I will stick with the CD audio standard 16 bit audio, giving me a range of -32768 to 32767. The simplest and purest representation of a particular frequency is given by a sine wave. Interesting. What about the sin of 2 PI radians? Half way between PI and 2 x PI the y value is -1. Half way between 2 x PI and 3 x PI the y value is 1. Half way between 3 x PI and 4 x PI the y value is back to -1, so we see that the graph repeats every 2 x PI. We need sampleRate samples for every second. Next we plot those points using the sin function, and scale them by the expected range for 16 bit audio. Now we have PCM audio samples that we can pack and send to an audio player for listening pleasure. and the period is 2 x PI. To add a horizontal stretching factor we multiply by some factor. What is the result of all that effort? A few seconds of concert pitch.